To measure intraocular pressure reliably most veterinarians will refer you to a specialist centre. 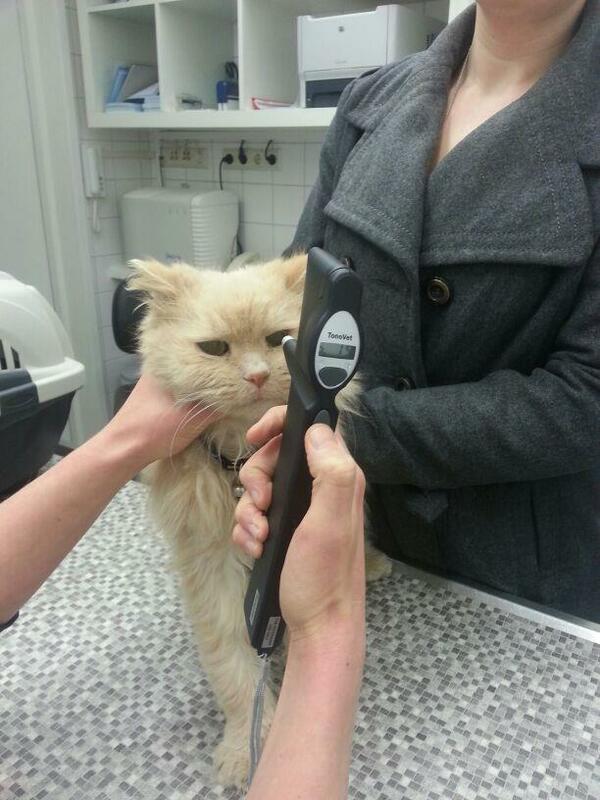 At the Keerhoeve we have a tonometer to reliably, without pain or anaesthesia, measure the intraocular pressure. The examination can be performed in our clinic in Leiden or Voorschoten. When high intraocular pressure is suspected, in case of glaucoma, we perform tonometry. We use the same measurement to perform re-checks to determine effectiveness of the medication. Several dog breeds are of higher risk in developing glaucoma. Veterinary optometrists recommend regular intraocular pressure measurements in these breeds. When glaucoma is discovered in an early stage treatment can prevent permanent damage to the eye.